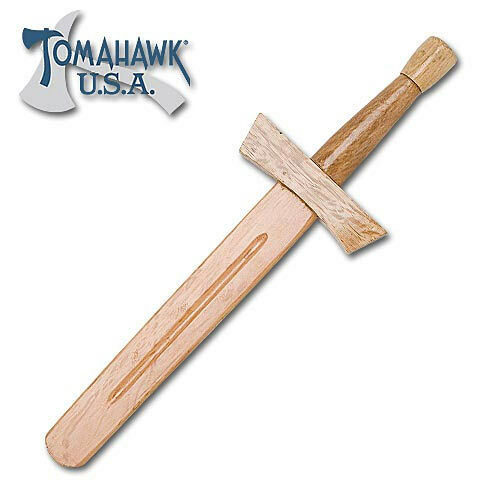 18” Wooden Knight Sword | BUDK.com - Knives & Swords At The Lowest Prices! Knights and those young men training for knighthood spent many hours training with the weapons of war. Wooden swords of differing lengths and weights were commonly used to practice swordplay. This wood construction sword duplicates the look and feel of a medieval sword, and allows you the opportunity to master the art of sword wielding. It also makes a safe and non-lethal display piece. This item measures 18" overall. Tomahawk, XL1049.